We are delighted that you have visited our website, which offers information on our rigorous undergraduate and graduate academic programs and exciting research conducted by our faculty and students. We are proud to be part of the University of Florida, which was recently recognized as one of the Top 10 Public Universities, and of the Herbert Wertheim College of Engineering, one of the largest and most dynamic engineering programs in the nation, producing leaders and problem-solvers that take a multidisciplinary approach to innovative and human-centered solutions. Our department has over a century of history educating professional and intellectual leaders of the Chemical Engineering discipline. Our students are some of the best in the nation, as evidenced by their scholastic achievements, awards and recognitions. Our alumni contribute to important industrial sectors and are entrepreneurs that drive the global economy. Our faculty have garnered numerous awards and accolades, and include three Distinguished Professors, several fellows of professional societies, including the American Institute of Chemical Engineers, the American Physical Society, the Electrochemical Society, and the American Vacuum Society, and recipients of the highest teaching awards bestowed by the University of Florida. Our staff is dedicated to support our faculty and students, while providing a welcoming, inclusive environment. Together, we aim to promote excellence and leadership in education, research, and service to society. The Department of Chemical Engineering offers bachelors, masters, and doctoral degrees in Chemical Engineering. All these programs include rigorous coursework, combined with laboratory and professional experiences that prepare our students for success in their careers. Our undergraduates are highly sought after by the top chemical, petrochemical, and personal product companies in the world, and often graduate with multiple internship and academic research experiences. Importantly, approximately 70% of our bachelor’s degree graduates have secured employment at the time of graduation. Our masters programs provide additional instruction in the fundamentals of the chemical engineering profession, complemented with hands-on experiences, such as our Advanced Chemical and Bio Processing Laboratory, which introduces students to state-of-the-art instrumentation and processes that are relevant to emerging areas of application of chemical engineering. Our doctoral program aims to train professionals that master the fundamentals and can contribute to the advancement of the chemical engineering discipline. In the doctoral program, rigorous coursework is complemented by original research under the direct supervision of our distinguished faculty. I invite you to learn more about our academic programs, as well as how to join our community. In these pages you will also learn more about the research interests of our faculty, which span bioengineering, catalysis and surface science, complex fluids, electrochemical engineering, interfacial and colloidal phenomena, nanotechnology, semiconductor materials, and transport processes. Chemical Engineering faculty and students benefit from close collaborations with other disciplines, in engineering, sciences, agriculture, and medicine. This research benefits from the extensive state-of-the-art instrumentation available at the University of Florida. Their work often results in solutions to real world problems that are translated into commercial products thanks to the vibrant innovation and entrepreneurship environment at UF and in Gainesville. Finally, while the University of Florida provides a wonderful academic environment, it is important to mention that the quality of life in the city of Gainesville and the surrounding community is second to none. Serving as the cultural, educational, and commerce center of beautiful North Central Florida, Gainesville is only an hour from both the Atlantic Ocean and the Gulf of Mexico and less than two hours from Jacksonville, Orlando, and Tampa. Gainesville and its vicinity have much to offer, including sports, performance arts, museums, parks, nature trails and natural springs, farmers markets, shopping, restaurants, and nightlife. We invite you to learn more of why our faculty, staff, and students love to be a part of the Gainesville community! The Department of Chemical Engineering was established in 1916, with its first undergraduate degree awarded in 1920 and its first Ph.D. awarded in 1951. The department has a long history of excellence in research and education, and has had an impact in the formation of many professional and intellectual leaders in the Chemical Engineering profession. The Chemical Engineering Advisory Board supports the department’s mission and goals and is intended to enhance the department’s productivity and contributions to stakeholders and constituencies. 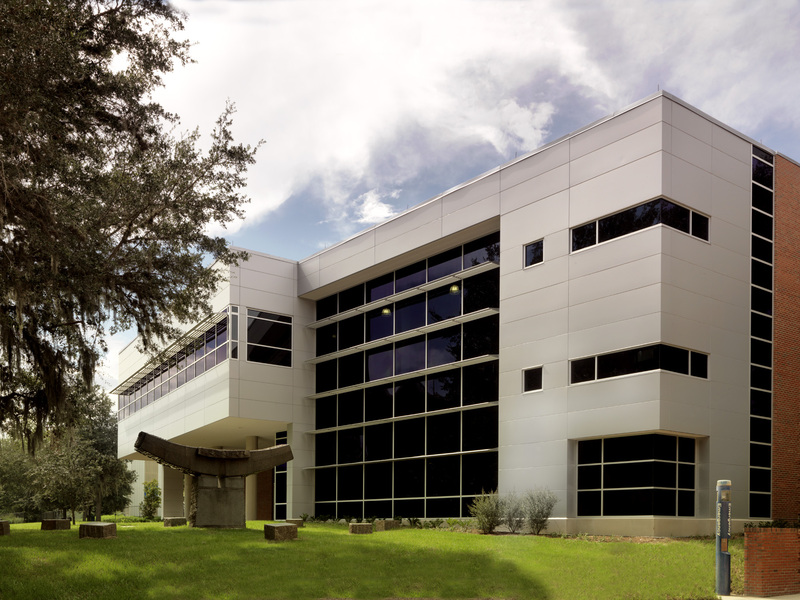 Faculty, students, and staff in the Department of Chemical Engineering at UF conduct their work in modern facilities and with access to state-of-the art instrumentation and services. Administrative and academic services for the department are housed in the Chemical Engineering Student Center, which was finished in 2012 thanks to generous contributions by our alumni and has 2,250 square feet for student study and collaborative spaces. The department’s Unit Operations Laboratory has 7,875 square feet dedicated to educational experimental modules and was recently renovated thanks to generous alumni and industry partner contributions. Faculty and students conduct research in over 17,000 square feet of laboratory space, outfitted with state-of-the-art instrumentation. 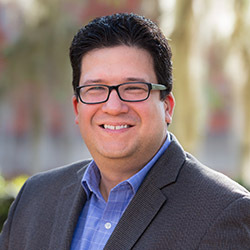 Furthermore, they take advantage of extensive shared instrumentation available throughout UF, including the Herbert Wertheim College of Engineering Research Service Centers and the UF Interdisciplinary Center for Biotechnology Research , among others. The Department’s mission is to offer high-quality programs in chemical engineering education, research, and service that enhance the wellbeing of the citizens of Florida, the nation, and the world. The Department of Chemical Engineering will conduct its key programs and activities in a manner that promotes excellence and leadership in education and research and service to society and fosters an environment that is safe, highly productive, cooperative and collegial, and dedicated to continuous improvement.